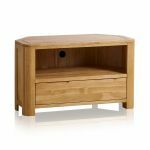 Ideal in compact living rooms, the Romsey corner TV cabinet is the perfect home for your TV, media player, gaming console and more. 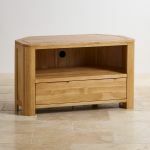 It has a cheerful style, signature to our Romsey range, with rounded corners, and a flat-fronted drawer with carved handles, perfect for hidden storage! 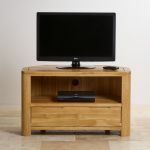 The shelved section has an exit hole cut at the back for easy cable management, and the whole piece is made from durable 100% solid oak to safely hold your technology. 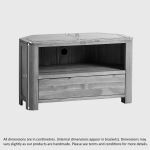 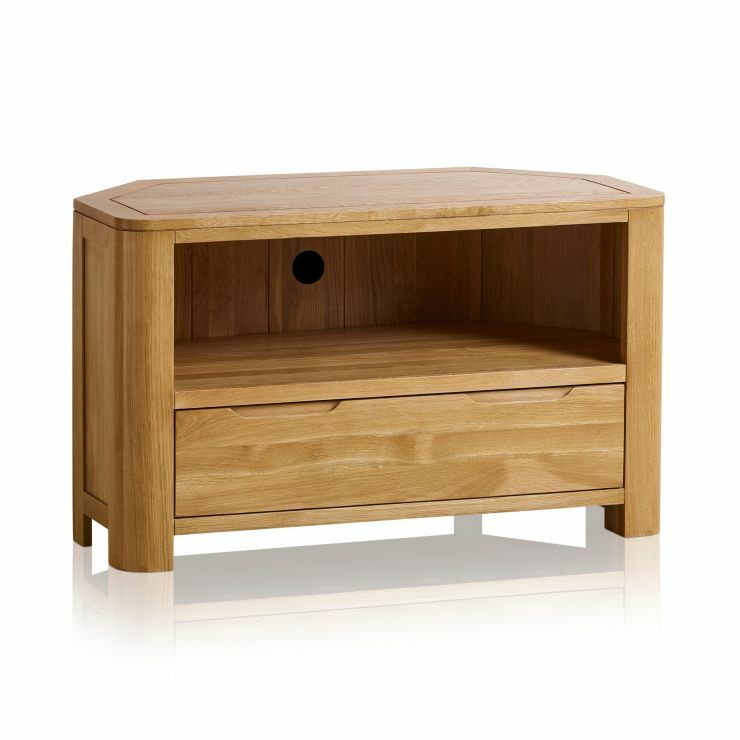 Our TV unit has our popular natural finish, which emphasises the individual grain patterns and adds a warm tone to the timbers, stunning in modern family homes! 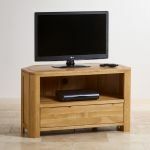 Browse our other stylish matching pieces for the living room from our Romsey range today.